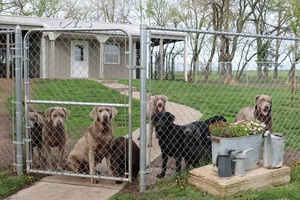 We are a small kennel in south-central Kansas that breeds Labrador Retrievers, both pointing and dilute coats in addition to the standard colors. The majority of our dogs come with hunting backgrounds and the pointing labs carry numerous titles. Check us out on the web or facebook!